East Arkansas Planning & Development District has received a $100,000 grant from the U.S. Department of Agriculture (USDA) Rural Business Development Grant (RBDG) for the continuation of a data collection project, EAPDD Communities Plus. The specialized program helps to strategically match businesses, communities and public and private partnerships through the use of key economic development data, according to EAPDD. “EAPDD is excited to be able to continue with our Communities Plus initiative. This work will continue to position our region to better support and grow existing employers through increased community involvement,” said Melissa Rivers, EAPDD executive director. Using economic profiling data, EAPDD will work with local leadership teams to establish target industries and supplier development opportunities, she said. Coaching sessions and workshops will be available for economic development response teams to enhance their efforts to attract investment to their communities. 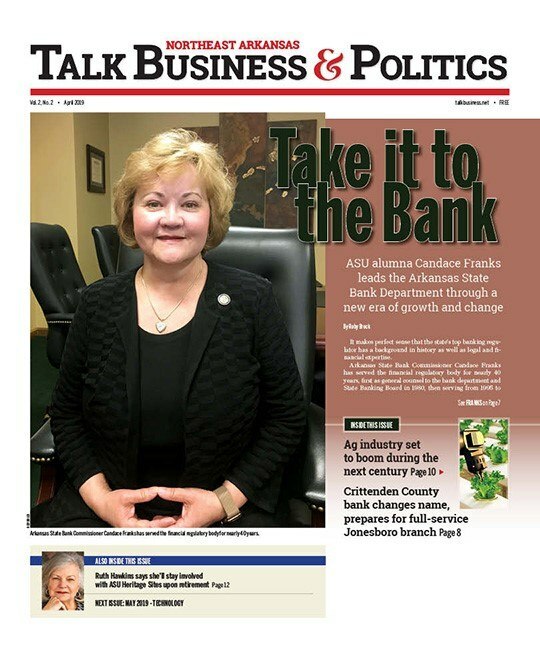 Understanding the implications of the resources available to them will help East Arkansas’ leadership make more informed economic development decisions and become more proactive in their economic development, she added. These data sets also include information relating to supply chains, raw materials and other aspects of business, according to EAPDD. This subsection of the data will be a valuable resource for existing businesses, which will be able to use it to expand, and, as a result, add new jobs to the region. EAPDD received a $52,010 grant in July 2017 for this project from USDA. This initial grant helped start the process of data collection by allowing EAPDD to work with economic development contractors, data specialists and data warehouse services. USDA is not the only one who has contributed to the East Arkansas Communities Plus Initiative. The Economic Development Administration (EDA) awarded EAPDD an Americorps VISTA Volunteer to help with data collection. In addition, the Environmental Protection Agency (EPA) provided $300,000 to help complete phase one assessments on potential brownfield sites, which are a part of assessing the community’s assets.